No matter what type of addiction you may have, every day can feel like a battle. As a result, it is important to find the right treatment program. Although you may feel like there is no way out, recovery is possible if you find the right program for you. The first step is recognizing that you have a problem and that you want things to be different. Once you are able to admit that, you are well on your way to recovery before you ever set foot in a treatment center or a counseling office. Just remember, everyone has different needs when it comes to recovery from drug or alcohol addiction. Consequently, what worked for your friend may not necessarily work for you. Ideally, you will work with your healthcare provider, a trusted family member, and a substance abuse professional to explore your options and determine what treatment plan is best for you. In general, you want to avoid facilities, counselors, and treatment centers that guarantee success. It is simply not possible to make any guarantees when you are dealing with a person's addiction. Controlling and guaranteeing another person's actions is simply not a realistic expectation. When it comes to treating addiction, there are a number of options available. Learning about the different types is the first step in determining what may work best for you. Sometimes the best way to treat an addiction is by spending time away from family, friends, work, as well as anything that triggers you to abuse substances. The goal is to create a space where you can focus on getting better without all the distractions of everyday life. Additionally, residential treatment programs often are a place where you will feel safe and supported. There's usually medical personnel on staff that will help you manage detoxification and cope with withdrawal symptoms. 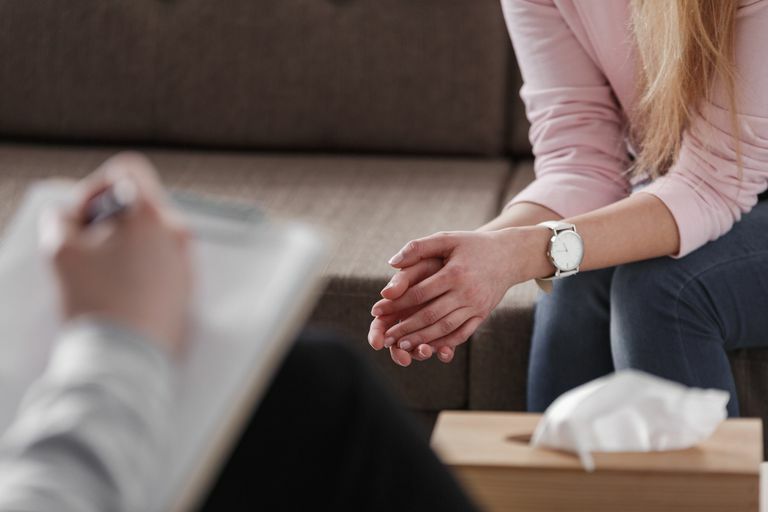 Typically, you will have a healthcare team that is there to help you develop a treatment plan that usually involves counseling as well as group therapy sessions. They may even invite your family members in for a family therapy session. Overall, the psychologist you work with will help you understand and deal with your addiction as well as treat any mental health issues that you may have. Unfortunately, addiction and mental health issues like depression or bipolar disorder often coexist with addiction issues. As a result, you want to be sure you are addressing anything that can cause you to relapse once you leave the facility. Generally, people with addictions are at a residential treatment facility for a few days, weeks, or months. The key is that you develop healthy habits, learn coping skills, and commit to starting your life again, this time with a clean slate before you leave. For those who feel like they have a solid support system in their spouse and their family members, outpatient treatment might be the answer. With this scenario, you are able to live at home while working your program. This treatment option also is a good choice when you are unable to take a long absence away from home or work. With an outpatient treatment facility, you are getting treatment during the day or the evening, but you do not stay around the clock. Instead, you meet with the facility team two to three hours per day. These outpatient facilities offer the same types of treatment that residential programs offer. However, because you do not reside there, it is easier for you to continue to go to work or attend school while still fulfilling your treatment plan. One thing to remember is that living at home should be a safe place. If you are tempted to resume using drugs or alcohol while working your program and living at home, an outpatient treatment center may not be as effective and you might need to find another option. This type of program is similar to an outpatient treatment program, which allows you to live at home while working your program, but is a bigger time commitment overall. Much like a residential treatment center, you will receive the same detox, withdrawal, and counseling support for about seven to eight hours every day. You also will work with doctors, therapists, and psychologists during the day. In the evening, you will attend either a 12-step meeting or life skill education classes. Parents of young children or those with other obligations at home might find this option the most helpful. Many times, people who struggle with addiction find it difficult to leave the safety and security of a residential treatment program and immediately return home and try to pick up where they left off. Sometimes, it helps to transition slowly back and Sober Living Communities help people do that. Even though you may feel like you have changed, practicing all the new skills you have learned is sometimes easier in a sober environment. In this situation, you and your fellow residents continue focusing on maintaining sobriety, but in the safety and security of a sober environment where there are no drugs or alcohol to tempt you. Another benefit of sober living communities is that you can continue to learn healthy living and coping skills while attending regular 12-step meetings and group therapy sessions. This type of structure is sometimes helpful in breaking free of toxic friends and establishing a balance in your life where you learn to handle demands in a healthy way. According to the National Institute on Drug Abuse, addiction is a complex disorder that can involve virtually every aspect of an individual's life. Since addiction is both complex and pervasive, treatment is often multi-faceted. Some aspects of your treatment plan will focus directly on your addiction to drugs or alcohol while other aspects will focus on helping you become a productive member of society. These aspects of the treatment plan might include employment training and learning basic self-care principles, including how to handle stressful situations without turning to drugs or alcohol to cope. Here are some basic principles for effective treatment that you may want to consider as you choose a treatment option. Addiction is a complex but treatable disease that impacts both the brain and the person's behavior. As a result, drugs and alcohol completely alter an addicted person's brain structure and function. Consequently, these changes are often permanent and last long after the person stops abusing a substance. This may explain why people who struggle with addiction are at risk for relapsing. There is no "one size fits all" when it comes to treating addiction. Keep in mind that treatment will vary depending on the person as well as the type of substance the person is addicted to. As a result, it is important that the treatment selected matches the person's needs and issues. Doing so will help increase the likelihood that the person will experience success. Treatment for addiction should be readily available. For treatment to be a success, the needed services need to be available the moment a person struggling with addiction says they are ready for treatment. Delaying the help they need may cause an addicted person to change their mind about entering a treatment program. An effective treatment program addresses the whole person and not just the addiction. People who struggle with addiction are more than just addicts. They are people with feelings, hopes, and needs. Finding a program that addresses more than just addiction is crucial. Many times, people who struggle with addiction also need mental health services, counseling, legal assistance, vocational training, and nutritional guidelines. Treatment of addiction is not a quick fix. Consequently, it is important that people who struggle with addiction remain in treatment for an adequate period of time. Of course, there is no set time that a person must spend in treatment, but most research indicates that people with addictions need at least three months in treatment to significantly reduce or stop their substance abuse. The best results occur when treatment is longer. Addiction is a complicated problem and recovery is often a long-term, life-long process. Behavioral therapies are the most commonly used treatment for addictions. These therapies can include individual, family, and group counseling. Overall, the focus of these therapies varies depending on the individual. For instance, a person with addiction might need the motivation to change, and therefore, would benefit from incentives for abstinence. They also might benefit from building the skills needed to resist temptation as well as learning how to replace drug-using activities with other rewarding activities. Medications are an important part of treatment. For many patients, medications combined with counseling and other behavioral therapies are an effective component of treatment. For instance, methadone, buprenorphine, and naltrexone are often used for people who are addicted to heroin or other opioids. These drugs often help them stabilize their lives so they can change their patterns of behavior. Assessment and modification of the treatment plan are essential. A person who is learning how to cope with their addiction and manage their life again will have changing needs as they work their treatment plan. Consequently, it is important to assess how things are going and make changes as needed. Many people with addictions also struggle with mental health issues. When it comes to addiction and mental health, these two illnesses often exist together. As a result, if a person has an addiction, they also should be evaluated for a mental health issue. When they do co-exist, they should both be treated as separate issues. Keep in mind that medically-assisted detoxification is only the first step in treating addiction. By itself, there is little change to long-term drug or alcohol abuse. As a result, people who are addicted to substances should follow a treatment plan after finishing detoxification so that they can learn healthy coping mechanisms. Treatment does not always need to be voluntary to be effective. In some cases, when a person is forced into treatment because of the justice system, family requirements, or because their place of work demands it, they will have more success than if you waited for them to want to get better. Some people just need that extra push to get clean. Lapses during treatment often occur. It is always a good idea for the program to include an element where drug use is monitored. Knowing that they are being monitored can be a powerful incentive for people with addictions to avoid using substances. Monitoring also provides an early warning that the person has returned to drug or alcohol use. When this happens, it is important that the treatment plan is altered to better meet the addicted person's needs. Treatment programs should include routine testing for infectious diseases. Such things that need to be tested for include HIV/AIDS, hepatitis, tuberculosis, and other diseases. For those who are not infected with anything, they can learn to reduce their risk. Those who are already infected can learn to manage their disease. No matter what type of treatment you choose, the important thing is that you make a commitment to stick with your program and get clean. A treatment program is only as helpful as the work and commitment you put into it. If you are not going to adhere to the guidelines of your program, it doesn't matter which treatment option you choose—it will not work. For this reason, you need to pick a treatment option that fits into your life and will be what you need to get better. It won't be easy, but keep in mind that all of your efforts are geared toward becoming a healthier you. "Types of Treatment Programs." National Institute on Drug Abuse, National Institute of Health, January 2018. "Principles of Effective Treatment." National Institute on Drug Abuse, National Institute of Health, January 2018.